- Devo's latest blog post says that Alfonso Motagalvan's ankle should be OK. Although, it might not be a bad idea to give him a week+ off and wait to bring him back versus Crystal Palace Baltimore. 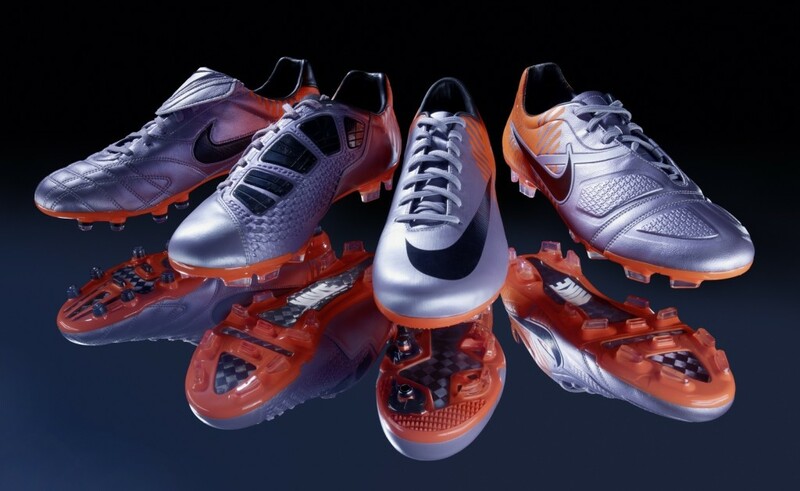 And since Alfonso needs a new pair of boots, he should look at the new lineup that Nike is putting out there. Although, Troy Roberts might be jealous! - Devo also included his votes for the USSF D2 Player of the Month for April. We agreed on #1 (Portland's Ryan Pore) & #2 (Austin's Leonard Griffin). But, his #3 was Puerto Rico's Bill Gaudette while mine was Vancouver's Martin Nash. I guess I'm more of a homer (sort of). - Bill Sedgewick was all over the local morning shows today. - Rob Clark was a recent guest on the Feuerstein's Fire podcast. - AC St Louis may have a new face in the lineup when they come to Rochester on Saturday. - SBI.net has a look back at Week 4 of USSF D2 play. - Inside Minnesota Soccer looks at how USSF has quitely run the league. I wonder if they'll want to keep running tings beyond 2010 and perhaps even expand their control to the 3rd division and beyond? - TriSoccerFan.com is calling out the quality of the online streaming of USSF D2 games so far this season. - This take on Montreal's Roberto Brown being suspended for the next two games of the Nutrilite Canadian Championship for the Voyageurs Cup made me laugh. - NSC management isn't worried about the early attendance numbers for the Stars. The most interesting nugget is that they feel that they can break even averaging 2000 per game because they own the stadium. - Matthew Delicate was named the USL-2 player of the week for the second time in three weeks. Tim Melia joined him on the Team of the Week. - SI.com has a preview of Slovenia who the US will face on June 18th in their second group stage match. - One Goal Part 3 is up. - Steve Davis at MLS Soccer.com says that five man midfields are becoming more popular in MLS. - Greg Seltzer at MLS Soccer.com takes a look at Clint Dempsey likely becoming the first American to play in a European Cup final. - Simon Borg at MLS Soccer.com takes a look at all the Charlie Davies speculation and chatter about whether he'll make it back in time for this year's World Cup. - Red Bulls coach Hans Backe is really hoping that Thierry Henry is coming to MLS. But, what if he's a Rockstar or Monster kind of guy?